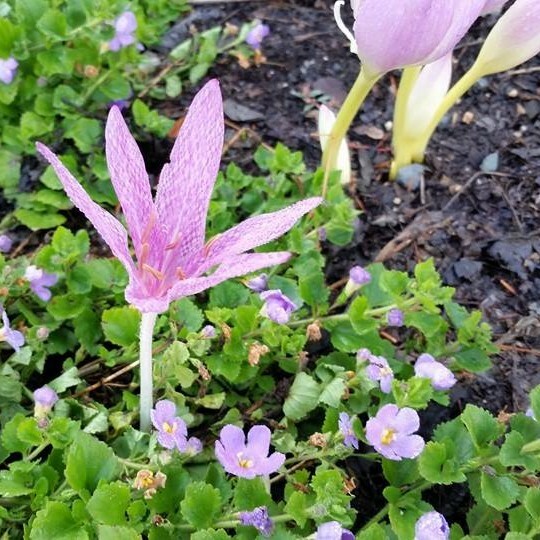 It’s now early fall and that means it’s time for Colchicum! 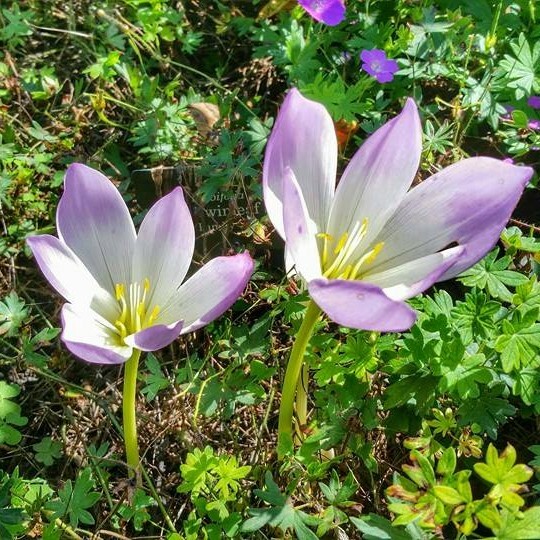 Colchicum is a group of flowers also known as autumn crocuses, though they’re not related to the true crocus. Seventeen species and varieties of Colchicum grow in the Graham Bulb Garden. 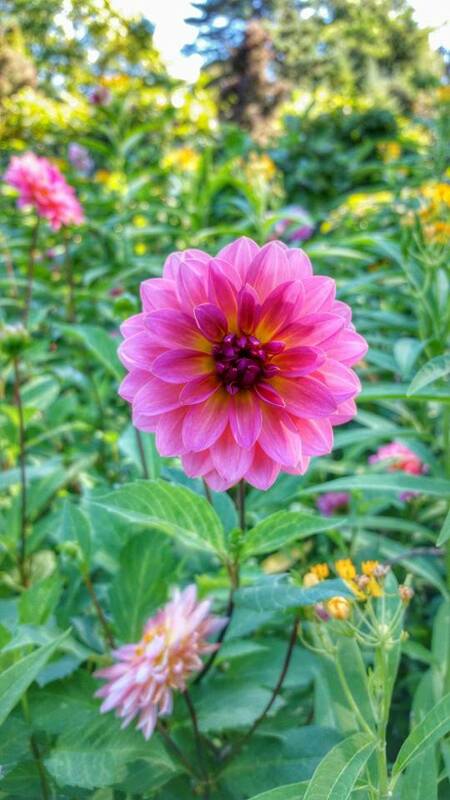 Flower colors range from white to magenta-violet, and include doubles and bicolors. 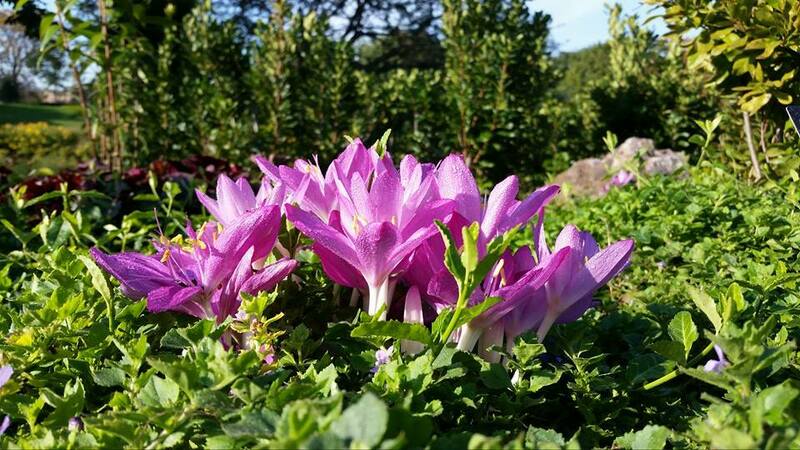 Colchicum blooms are a great way to brighten up the early autumn landscape. 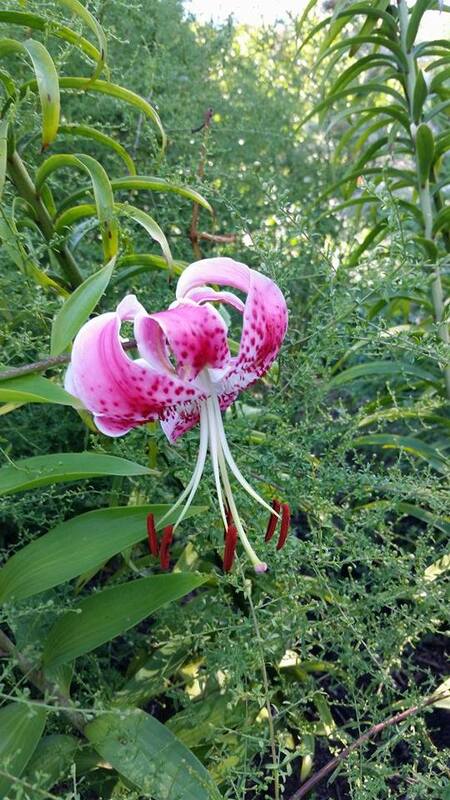 They’re best grown in a groundcover or as an underplanting for taller bulbs such as lilies (Lilium sp.). The spring foliage can be rather large and hosta-like, making them sometimes difficult to pair with smaller spring-blooming bulbs such as Scilla, but it makes them perfect for hiding bare stems of tall plants in the summer while providing a jolt of color to your beds just before everything goes to sleep for the fall. 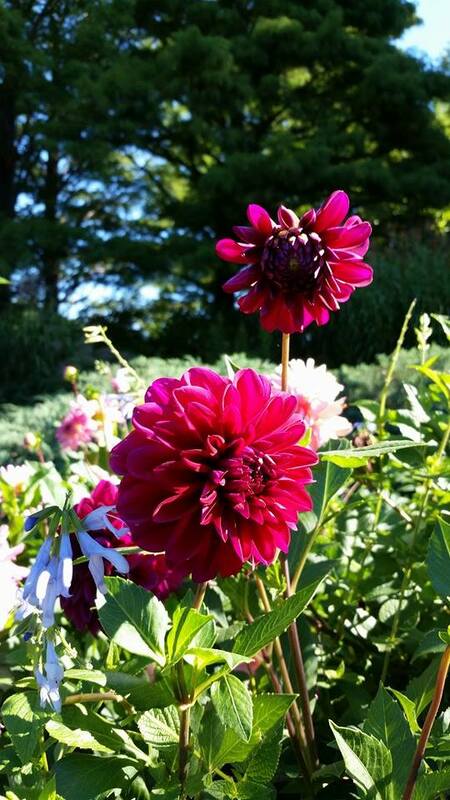 In addition to the crocuses, dahlias and lilies are still bursting forth with color, like jewels in the September garden. 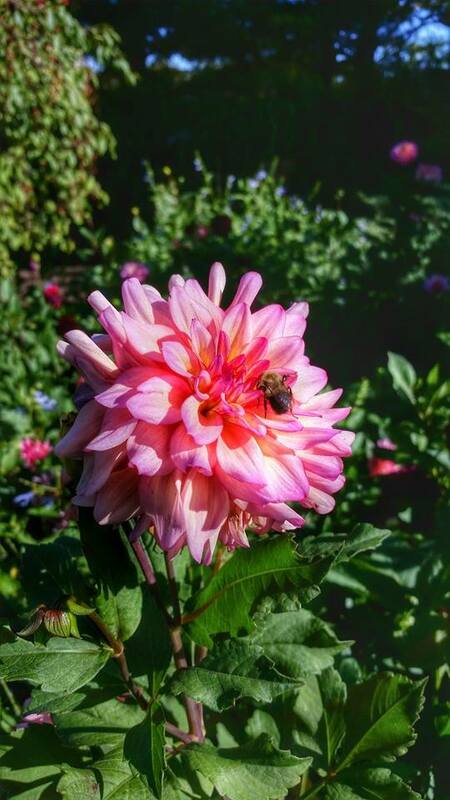 The cooler temperatures help create richer colors in the dahlias, and longer-lasting blooms, while their large size provides a contrast with the dainty blooms more typical of fall bulbs. We’re still seeing the final blooms of Lilium speciosum ‘Uchida’ as well. This lily is notable for being the latest-blooming lily in our climate. These plants started blooming in early September and are still holding on. Due to their late blooming nature, these beauties must be planted in the spring in a well-drained but fertile area. While these might be the last blooms of the season in the Bulb Garden, this certainly isn’t the end of interesting things happening in the Chicago Botanic Garden. Fall foliage color will be peaking soon, and winter holds its own interest in the colors of berries, dogwood stems, and the exfoliating bark of the birches against snow’s white blanket.